Central to the idea of a perfect society is the idea that communities must be strong and bound together with shared ideologies. However, while this may be true, rarely are the individuals that comprise a community given primacy of place as central to a strong communal theory. 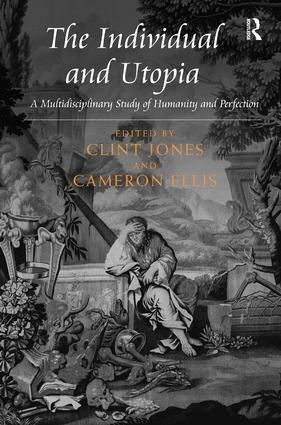 This volume moves away from the dominant, current macro-level theorising on the subject of identity and its relationship to and with globalising trends, focusing instead on the individual’s relationship with utopia so as to offer new interpretive approaches for engaging with and examining utopian individuality. Interdisciplinary in scope and bringing together work from around the world, The Individual and Utopia enquires after the nature of the utopian as citizen, demonstrating the inherent value of making the individual central to utopian theorizing and highlighting the methodologies necessary for examining the utopian individual. The various approaches employed reveal what it is to be an individual yoked by the idea of citizenship and challenge the ways that we have traditionally been taught to think of the individual as citizen. As such, it will appeal to scholars with interests in social theory, philosophy, literature, cultural studies, architecture, and feminist thought, whose work intersects with political thought, utopian theorizing, or the study of humanity or human nature. Clint Jones is a Visiting Professor of Philosophy at the University of Wisconsin-Stevens Point, USA. He is the author of A Genealogy of Social Violence. Cameron Ellis earned his PhD in the Department of Cultural Studies at Trent University, Canada.